This was a residential (Class 2 | Cat 2) water loss that required the removal and replacement of the Medium Density Fiberboard (MDF) baseboard. A soft clog in the sewer line caused black water to overflow into the nearby living space, soaking for hours throughout the room until the policyholders returned from work. For this specific loss, the baseboard on-site was 6” MDF with profile. 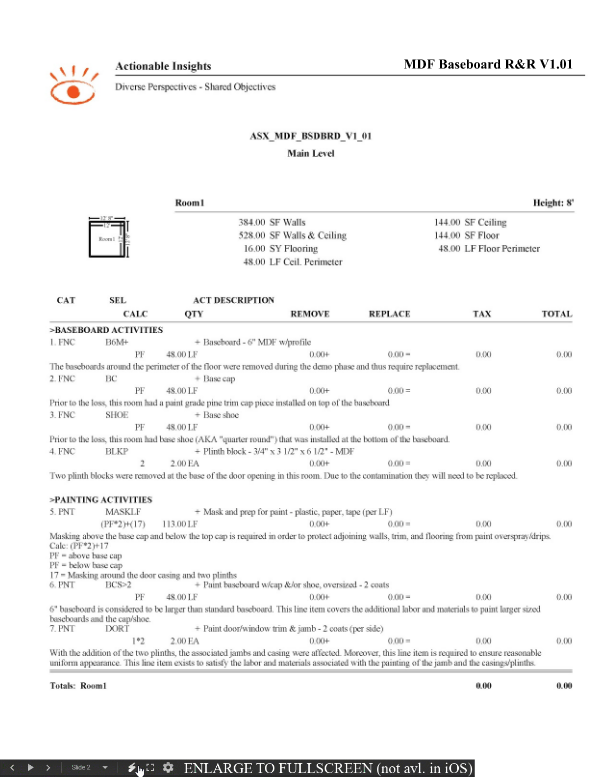 This Insight Sheet exists to clarify how one might invoice for replacing MDF baseboard. This does not seek to include or make concessions for all equipment and/or activities as it relates to a loss of this nature.